Funding for the projects. Investments and investment projects. Private financing. Future investments and investments in projects. People funding. Future investments and investments in projects. Project - №3 The information enclosed. + Nasilschiki goods - robots. + An unmanned aerial vehicle. + Robots for space exploration. + Robots with artificial intelligence. + The motor generator of energy. + Electric Vehicles of the future. Project - № 3 In these areas development will go in other areas. + The lamp in the package for solar battery. The Americans have developed an all-weather light source designed for people in poor countries, without access to electricity networks, as well as for people affected by natural disasters. The lamp consists of LuminAID flexible thin-film solar cell, a pair of flat battery the size of a coin and several bright LEDs. All of them are hermetically sealed in translucent resin package, which also plays the role of the lens. 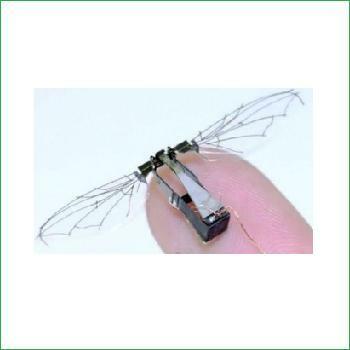 + E-insect-bird, a robot spy, able to fly. 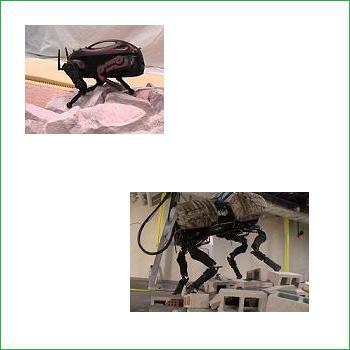 Defensive structures of countries around the world increasingly use unmanned observation vehicles. these devices are made on the basis of different technologies, but masterpieces like the new drone, created by engineers laboratory U.S. Air Force, while very rare. Miniaturization is leaps and bounds over the world of high technology, that's spyware Drones are incredibly compact. The device according to the study of the sea floor, designed by students of the Far Eastern Federal University (Russia) robot rescue, fish-robot guard ecology of aquatic spaces, robot - pool cleaner, robotic octopus, fish, air, and so on. - All this is not fantasy, but the realities of our day. Scientists come closer to nature, creating their new image and likeness of birds, insects and sea creatures. Office Assistant, a robot that recognizes human facial movements, an android-laborer, tennis robots, teacher mathematics and physics, and even ... model of pret-a porter. Science Fiction, you say. And here and there! These and other "stuff" already spread around the world with only one purpose - to help us lives. By the way, listen to the sounds outside. And suddenly now someone rang the doorbell and offer their services as ... android-cook. Well, bon appetit! + Robots - porters of goods and scavengers in the streets. Do not be alarmed if, while walking the dog, suddenly you see it ... electronic analog. 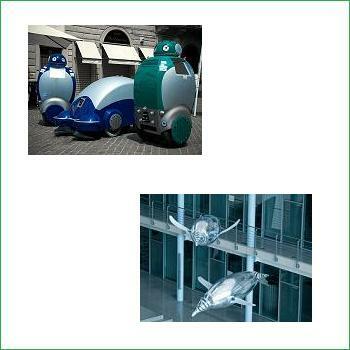 Four-legged robots pervade the city, taking on the part of not the most pleasant cares. It turned out, they gather the strength and take out the garbage to the dump, carry a heavy load, to help people with disabilities to move the stone jungles of big cities. Well, the science - is not only prove new theorems, and the development of distant spaces. Outside the window, walking robots, it is easy fitting into the picture of the modern world. Their main task - to study the Earth's atmosphere, as well as other planets in our solar system, in particular, the Titan, a moon of Saturn. Among other flying models - robotic penguins, the helicopter as a platform for robotics technology research and testing, vehicle loads. All these machines are already widely used, "bringing" to the sides of their unique information about cosmic processes. Astronauts have long made friends with the robots that will help them in space research. The news reports are often told about the orbital android robots to explore planets with difficult terrain, robots, elevator, robot-terrain vehicles. Electronic machines have long stepped beyond the Earth, learning the Universe and getting to where the person has not yet hit given. A man has been created to help e-companion, who, observing the behavior of the driver directly into the car, able to make the right decisions in difficult situations. And yet many do not hurt to have a house-girl android named Aiko, who will make sure that the rainy weather, you do not forget to grab an umbrella. Children will also be very useful to get acquainted with prehistoric lizard called Pleo, which are easily moved, snorting, coughs, sighs, in short, tries to make themselves known to the modern world.